Item1994-14-698 - The covered bridge at West Montrose, Ontario. 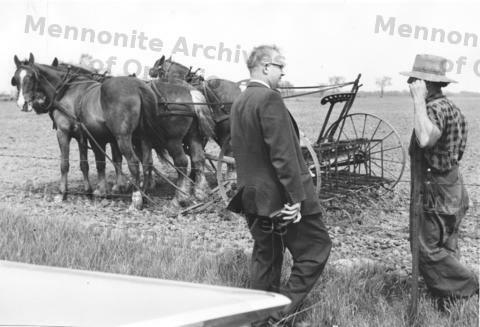 David P. Neufeld, executive secretary of the Conference of Mennonites in Canada, speaks to an Old Order Mennonite farmer in his field. Used in CM 10-21-10.